We asked our Spring 2016 marketing intern, Chandler, to tell us about her internship. She wrote about her experience so beautifully, we didn’t want to change a word, just wanted to pass along for you to read. See what she had to say below. We were very thankful to have her on our team for a couple months and can’t wait to see what she does next. The Ronald McDonald House Charities of Alabama holds a special place in my heart. 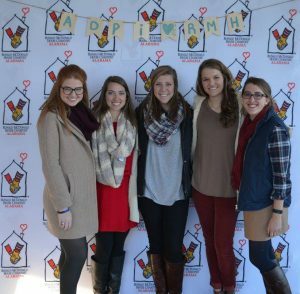 For the past three years, I have served at RMHCA alongside my Samford Alpha Delta Pi sisters cooking dinners for the families, playing bingo with the kids, and hosting fundraisers to support the House. During the spring semester of 2016, I got the chance to work alongside and learn from the team who put in countless hours behind-the-scenes to keep this House operating. As the marketing intern, I spent my days setting up third party fundraising events with local restaurants, sitting in on Board and Committee meetings, soliciting donations for the upcoming events, and so much more. Every single day I spent at RMHCA I was amazed at the enthusiasm and dedication that flows from the office into the rest of the House. It is apparent that the staff loves their jobs, loves each other, and loves the families they are serving. They are unified in their mission to enhance the lives of the children and their families that walk through the front doors each day. It has been an honor to work with a group of people who radiate intentionality and have shown me the greatest leadership and care, even when I asked way too many questions! Leaving the House at the end of the semester is bittersweet. The friendships I have formed here and the lessons I have learned are something I will appreciate forever. Though my internship days are over, I have caught a glimpse of the value that serving at RMHCA offers. RMHCA is a home away from home for many families who have children being treated at the local pediatric hospitals. However, RMHCA is also a home and a family for those who work and volunteer to make this House all that it is. I would highly encourage anyone seeking a marketing degree or pursuing a non-profit career to consider spending time in this House. The staff has gone above and beyond to treat me as if I was one of their own and has given me the encouragement and resources necessary to try something unknown and take learning risks. I have learned more from RMHCA this semester than I could have ever learned in a classroom setting, and for that I am forever thankful. 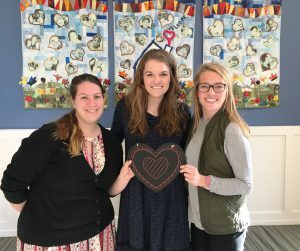 If you are interested in interning at RMHCA, please check out our Jobs/Internships Page.